The Book of Ecclesiastes is quite confusing to many Christians. If you don’t know about it, it’s a book of poetry and philosophy found in the Old Testament, written around the mid to late third century BC. The author of the book is potentially questionable, but the voice of the book is King Solomon. Whether he wrote it directly, or whether it was written as a collection of his writings or as a summary of his philosophy, I don’t think that matters. What I think does matter is that the protagonist of the book is, as the first verse says, “The words of the Teacher, son of David, king in Jerusalem.” Now “Son of David” could easily also mean “descendant” of David, but as the book progresses, we see that the content of the book – the focus on wisdom and the description of utter opulence for instance – do suggest that it is referring to King Solomon. Ecclesiastes can seem bleak and depressing and also just plain wrong. I mean, how can King Solomon the Wise say that the pursuit of wisdom can be meaningless?? Or how can the King of Israel, entrusted to guard God’s Word and explain it to the people, saying that everything has no meaning? This is what has confused many Christians, and the response by those who study the book is generally to point out three vitally important things. 2. The word “meaningless” is a really unhelpful word to use. 3. That isn’t the conclusion of the matter. Well, let’s look at these three points briefly. 1. When it says life is meaningless, it is only referring to life “under the sun”. As common as the word, “meaningless” is, the phrase, “under the sun” or “under heaven” is used 32 times in the book’s 12 chapters. It’s even worked its way into our common language: the phrase “there’s nothing new under the sun” actually originally comes from this book (Ecclesiastes 1:9). This phrase is not meant to describe all of life in all of eternity. It specifically means our life while we live. We see this clearly in Ecclesiastes 2:3, where the King says, “I wanted to see what was worthwhile for men to do under heaven during the few days of their lives.” It is used similarly elsewhere in the Bible, such as in reference to the Flood in Genesis 6-8, where God destroys all life “under the heavens”. “Under heaven” or “under the sun” points to the time that we have on earth while we work and live with the sun over us. It does not refer to the heavens themselves or the Creator who resides in heaven, but only to the life of the Creation. Some have stressed this to make the argument, “See, life is not meaningless with God. It’s just meaningless outside of God. That’s what ‘under heaven’ means.” But I’m not really convinced by that argument. I mean, is the writer saying life is meaningless until you go to be with God? I don’t think so. Ecclesiastes is quite silent on the issue of an afterlife (other than the promise of an ultimate judgement in the very last verse of the book). The focus of the book is very much THIS life. 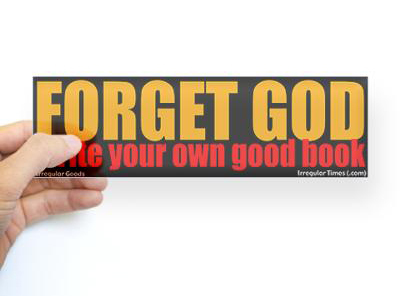 So, is the writer saying, if you live a life ignoring God then your life has no meaning? Or that God provides the only true meaning to life and so everything else is meaningless? Well, this is a true sentiment from a biblical perspective, but you can’t really get it from Ecclesiastes. Ecclesiastes is written from the perspective of someone who does know God. Sure, King Solomon majorly went off the rails, but still, I think it’s clear that “under heaven” does not mean “outside of the stuff God’s interested in”. God is mentioned throughout Ecclesiastes as actively involved in the life of people, causing both their blessing and their frustration. Whatever life “under the sun” means – it does not mean life “outside of God”. “Under the sun” just means life from birth to death. When Ecclesiastes says “everything under the sun is meaningless”, the harder part of that phrase to understand is not “under the sun”, but the word “meaningless”. The Hebrew word that the NIV translates as meaningless is “hevel” (הבל). In older translations you may have heard it translated as “vanity”. This is not in the sense of “loving yourself”. “Vanity” here means “in vain” or a wasted effort. 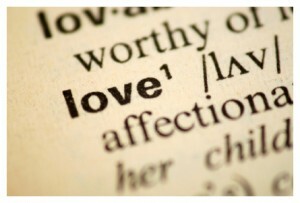 This helps us get more of a feel for the meaning of the word, but even that does not capture it. “Hevel” also means “fleeting” or “temporary” or “passing”. 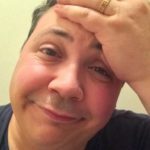 Look at the picture at the top of this blog – it’s like breathing on an icy cold morning and you see your breath… and then it’s gone. 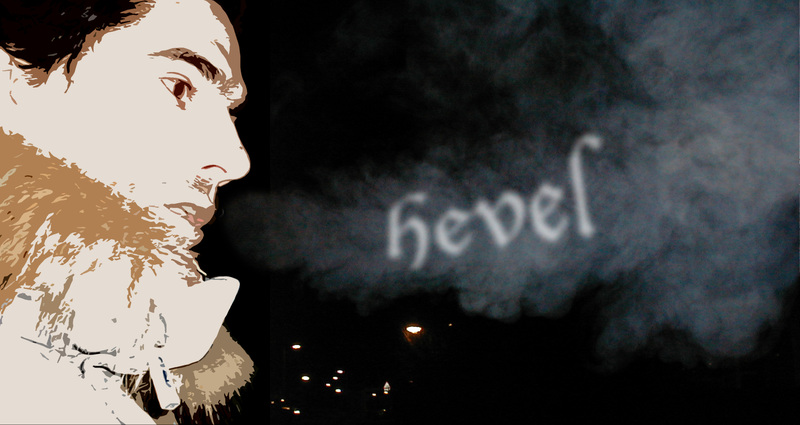 That’s what “hevel” literally means – “breath” or “vapor”. Ecclesiastes uses a powerful image to describe it as well. Coupled with the phrase, “this is hevel” the writer often adds the phrase “a chasing after the wind”. He uses this description 9 times throughout the book and one other time he uses the phrase, “toiling for the wind”. Throughout the letter “wind” is described as elemental and ever-returning (1:6) but never being able to be caught, tamed or predicted (8:8 & 11:5). “Hevel” is a concept that, like the wind, is hard to pin down, but I don’t think we’re meant to pin it down. It’s not supposed to be a hard definition for something. It’s supposed to be almost a feeling. That feeling of trying to grasp at an illusion, like a cat trying to catch a shimmer of light on the floor. Life, the writer of Ecclesiastes says, is like chasing the wind. Everything in life is transitory, everything is passing away, nothing stays, nothing under heaven is permanent, and if we work our guts out for it all we shouldn’t be surprised that we find life frustrating. In the end, ultimately, nothing is gained, everything is like breath. 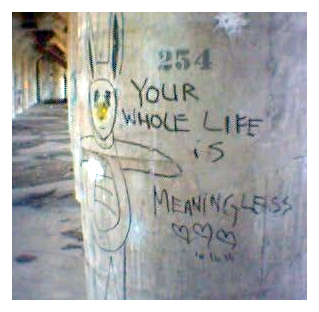 Now, does that make life “meaningless”? Well, I guess that’s up for discussion. It definitely doesn’t force us to conclude such a bleak prognosis about it all. But if we’re trying to work out not just what “hevel” means, but also how we should feel about “hevel”, it’s quite hard to pin down the author’s emotional response. Sometimes he finds “hevel” wearisome (1:8), sometimes it leads him to hate life (2:17) and then other times he speak of how good it is to eat and drink and find satisfaction in his lot in life (2:24, 3:12-13, 5:18, 8:15 & 9:7-10). If everything is “hevel”, what are we to make of it? Is everything depressing or full of enjoyment? Is everything meaningless or meaningful? As I explored this question myself I decided to re-read Ecclesiastes with a little experiment. As the word “hevel” was a tricky word to translate, I thought I would read through the book and whenever I came to the word “meaningless” (I was reading the NIV translation), I would simply say the word “hevel” instead. What resulted was really enlightening. The book opens up with the declaration, “Hevel! Hevel! Everything is hevel!” and then launches into a description of how life never changes and yet in every cycle of life, nothing is ultimately gained. He then moves into his own autobiography, how he worked so hard to find what was the best thing to do in life and achieved amazing things that would be counted as great success by our society’s standards, and yet at the end of it all he looked at his hands and everything was “hevel”, a chasing after the wind, nothing was gained under the sun. This seems confusing, as how can he say nothing was gained – he gained so many great achievements – and what does it mean to say it was all “hevel”? Well, from here on, the writer continues for the rest of the book to explain that very question. What is “hevel”? What does it look like? What does it feel like? “So I hated life, because the work that is done under the sun was grievous to me. All of it is ‘hevel’, a chasing after the wind. I hated all the things I had toiled for under the sun, because I must leave them to the one who comes after me. And who knows whether he will be a wise man or a fool? Yet he will have control over all the work into which I have poured my effort and skill under the sun. This too is ‘hevel’. So my heart began to despair over all my toilsome labor under the sun. For a man may do his work with wisdom, knowledge and skill, and then he must leave all he owns to someone who has not worked for it. This too is ‘hevel’ and a great misfortune. 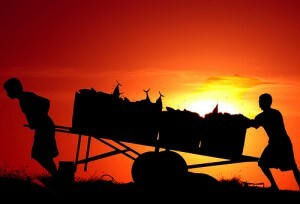 What does a man get for all the toil and anxious striving with which he labours under the sun? All his days his work is pain and grief; even at night his mind does not rest. This too is ‘hevel’. What struck me, when I stopped defining “hevel” and just included the original fuzzily-defined word, the meaning of the passage took on a completely different feel. Instead of the writer labelling life as “meaningless”, and saying something like, “You know this thing you do in life, well it’s actually a complete waste of time,” the writer seems to be USING these experiences in life, to help define “hevel”. It’s more like he’s saying, “Everything is hevel, and to understand what that means, let me show you these breath-like, transitory, frustrating things that we all experience.” When he talks about life, he is exploring the fuzzy definition of “hevel” rather than just using “hevel” as a label to attach to all things. I’m not sure if I’ve explained this point well enough, so I’ll use an example of how Jesus did this. Think about when Jesus talks about sin. Jesus could say, “Lying – that is sin”, but that would be rather limiting and people would just look for the loopholes. Rather, Jesus uses things like parables to get his point across. Like the story of the Prodigal Son. He tells of a son who rejects his father’s generosity and takes and squanders the gifts that the father had given him – that is sin. See the difference? One reduces a complex thing like lying to the simple label of “sin”, and the other expands the complex concept of “sin” by using a real life example. I think, possibly, the writer of Ecclesiastes is doing the same thing when it comes to defining “hevel”. This, to me, opens up the letter wonderfully. Rather than it being like a conveyer-belt, where as each part of life is described it gets stamped with a big “HEVEL” label, the writer is grappling with the concept, teasing it out, showing it, explaining it, chewing on it and inviting us to see it as well. This doesn’t leave us with no sense of it’s meaning, but like his description of “chasing after the wind”, the meaning of the phrase, “everything is hevel” opens up the discussion rather than closes it down. Is the writer’s proclamation that everything is “hevel” sort of a warning? Life is short so don’t forget God. One other emotion I find throughout the book of Ecclesiastes is regret. The story of King Solomon is actually quite a sad one. He was the son of the great King David, he was given by God greater wisdom than anyone else in his day, he had the amazing privileges and luxuries that came along with being king, and yet he forgot God. For political reason and to satisfy his own lust, he had 700 wives and 300 concubines, all appeasing his every sexual fantasy. These women also worshipped gods other than Yahweh, and as his moral decay grew King Solomon’s faithfulness to God wained and he was led into setting up shrines to these other gods to appease his wives. He tries to appeal to us not to make the same mistakes. Don’t forget your Creator in the days of your youth! Please! Don’t waste your time and your life on things that are simply hevel. That’s as stupid as chasing after the wind. The final part of the book seal the deal. He has finished his rant. He has pour out his heart. He has made his point. Now he states his simple conclusion. For more on Ecclesiastes, check the wikipedia article HERE. DOWNLOAD my Epic Bible Reading version HERE. Due to the fact that I get a ridiculous number of spam comments with links to other websites, I have put a ban on any comments that contain “.com” in the website section, email section or body of text. Please DO NOT include your email or website, and you will then be able to have your comment posted immediately. Thanks!